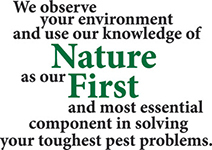 We are a Beaverton pest control services company using Sustainable, Organic, Natural and Green methods. We safely exterminate Ants, Mice, Rats, Bees, Wasps, Hornets, Fleas, Cockroaches, Spiders, and Termites. 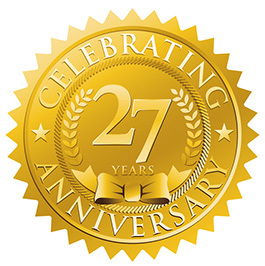 27 Years ago, we named our company Nature First because we knew that our friends and neighbors were looking for a green and more organic choice in Beaverton pest control and extermination services. We took a different path than the rest of the industry. While there were many commercial accounts that required long term programs with monthly visits, most homeowners in the Beaverton area really did not need that type of service. The treatment methods that were the industry standard in most of the country were literally overkill. We embraced the idea that spraying anything is always the last step in a thoughtful process that starts with asking the right questions. You will find that we are knowledgeable, helpful, and patient when we give you information and advice about your situation. Ants cause big problems. They have big colonies, spread quickly from house to house and have been designated a “Wood Destroying Organism”. Odorous house ants have all but replaced Carpenter ants. We have developed specific treatments to stop these invaders. We Kill The Colony. Most companies tell you to clear out your kitchen and stay out of the house for hours after they spray. And they tell you that they have to spray again every six weeks. Pest companies that use repellent products must keep respraying on a regular schedule. They have no interest in killing the colony because they want to keep you seeing ants, and stay on the contract. 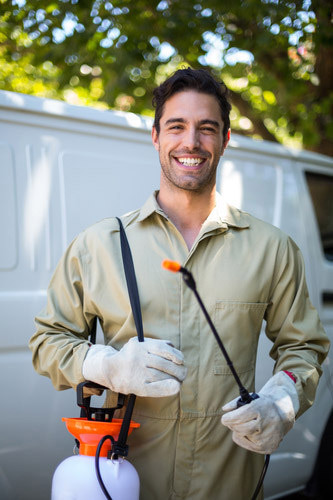 If you have a pest problem, we will solve it. Guaranteed! Call for a Free Estimate! We offer “NO POISON” total rodent control for homes and businesses with long term warranties. We never put poison bait boxes around your house. This is a temporary band aid to a much more serious problem. We provide a written report that includes areas of concern or conditions that encourage rats. Our reports include items the homeowner should be aware of and lists those items that are not urgent and can be addressed later. We use no bait. We seal the entry points, trap the invaders, and we guarantee the results for one year! We are GreenPro Certified for Beaverton Pest Control Services.